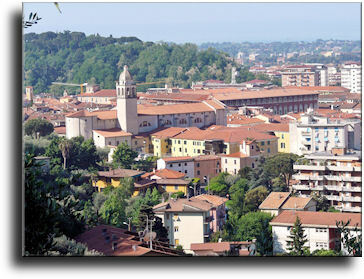 Massa (ZIP code 54100) is 0 kilometers far from Massa-Carrara, that is the Chief Town of the homonymous province to whom the municipality belongs. Massa has a population of 66.097 inhabitants (Massesi) and a surface of 94,02 square kilometers thus showing a population density of 703,01 inhabitants per square kilometer. It rises 65 metres above the sea level. The City Hall is located in Via Porta Fabbrica 1, phone ++39 0585 - 4901, fax ++39 0585 - 41245: the E-Mail address is urp@comune.massa.ms.it. Population: The municipality of Massa had a popolation of 66.737 inhabitants accordingly to the results of the national census made in 1991. After the national census made in 2001 the population was 66.097 inhabitants, thus showing during the years 1991 - 2001 a percentual variation of -0,96% inhabitants. The inhabitants are distributed in 24.668 families with an average of 2,68 people per family. The place: The territory of the municipality lies between 35 and 1.890 metres above sea level. The altimetric spawn is thus of 1.855 metres. Work and workers:There are 1.364 industrial firms employing 6.278 people that are the 27,81% of the total of the workers. There are 1.773 service firms employing 4.545 people that are the 20,13% of the total of the workers. There are also 2.256 firms employing 7.342 people that are the 32,52% of the total of the workers. There are also 321 administrative offices emplying 4.411 workers that are the 19,54% of the total of the workers. There is a total of 22.576 workers, that are the 34,16% of the inhabitants of the municipality. Massa rises along the slopes of the Apuane Alps. The local economy is mainly based on the activity of numerous marble, mechanical, chemical, food, paper and wood industries. The place name comes from the Latin "massa", with the meaning of "agricultural estate", with reference to a large land possession. The first document testifying the existence of the village goes back to 882, when it was under the influence of the Bishops of Luni. 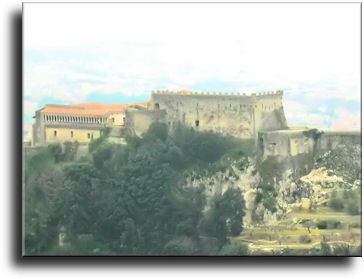 During the XII-th century Massa consolidated as a fortified feud of the Obertinghi's family, along a road placed at the slopes of the Apuane Alps. Owing to its geographical position, better than the unhealty territories placed along the coast, during the centuries the village of Massa was quarrelled for a long among the powerful cities of Pisa, Lucca, Florence and Milan. Up to the middle of tyhe XVI-th century the village was dominated by the Malaspina but, when the dinasty became exitinct for the lack of direct heirs, the village passed ot the Malaspina of the Cybo branch. Under the government of the Cybo Malaspina, Massa reached its political stability and this also promoted the development of the marble mining activities. Alberico I Cybo Malaspina also aimed to modernize and enlarge the defensive walls of the fortified centre and to embellish the city of Massa by building some fine palaces. 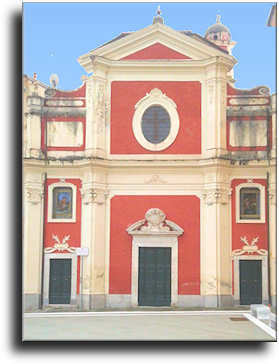 In 1741, thanks to the marriage between Maria Teresa Cybo and Ercole d'Este, being this latter the Duke of Modena, the territory of Massa entered the possessions of this latter thus losing iots autonomy. At the end of the same century, the property of Massa passed to Maria Beatrice d'Austria who governed up to the invasion of the territory operated by the French troops leaded by Napoleone Bonaparte. 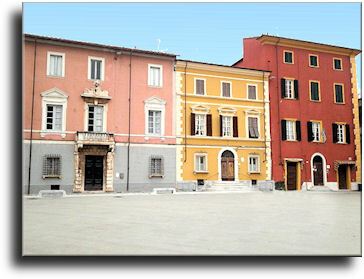 In 1806 the village of Massa was annexed to the possessions of the Republic of Lucca and then gave as a feud to Elisa Baciocchi, Napoleone Bonaparte's sister. The Grand Duchess Elisa Baciocchi completed the modernization work of the urban structure started by the Malaspina's family. After the end of the French occupation, the property of Massa came back again to the Dukedom of Modena, under the Estensi's government, of which the village took part up to the Unity of Italy occurred on 1861 by the action of the King Vittorio Emanuele II of Savoia. Among the most important monuments to see in Massa we point out here the Cattedrale (Cathedral), the Chiesa del Carmine (Church of the Carmine), the Chiesa di San Sebastiano (Saint Sebastiane Church), the Chiesa di San Rocco (Saint Rocco Church), the Castello dei Malaspina (Malaspina's Castle) and the Palazzo Cybo-Malaspina (Cybo-Malaspina's Palace). Among the several celebrations periodically taking place in Massa we remind the traditional "Saint Francis' Feast" held yearly on the first days of October and to which one hundred and fifty firms participant exhibiting local products of different kinds.